The legendary Knight of Darkness returns in a series of beautifully reprinted double-novels, featuring the original covers and illustrations! Hidden away in a sanctum in the heart of New York City, a being in black ponders beneath a blue light and chuckles slyly to himself as he peruses the reports of his secret agents. Before crime's plans have been put into being by some master mind of the underworld, word has come to The Shadow from his agents in far-flung corners of the world - and The Shadow lays plans to thwart the hordes of evil. Earphones on the wall lead to Burbank, contact man - and through him go the master crime-fighter's instructions to his aides. Orders for Harry Vincent to report on the scene of possible crime, to lay the groundwork for The Shadow's approach; to Hawkeye and Cliff Marsland, in their underworld guise, the paths they are to follow; to Clyde Burke, reporter for the Classic, the necessary information to be gotten only through newspaper channels; to Moe Shrevnitz, taxi driver of first rank, word of transporting the master-fighter to his field of battle; to Rutledge Mann, hiding behind the "front" of an investment broker, the word to be ready with his invaluable aid; to Jericho, giant African, the stand-by message to aid, if necessary, with his terrific strength. The Shadow himself is, in reality, Kent Allard, internationally famous aviator - but to no one, save his two Xinca Indian servitors, has this knowledge been given. For in his contacts with society, The Shadow takes on the guise of Lamont Cranston, big-game hunter and explorer. There is real Lamont Cranston, of course, but he spends most of his time in far-flung corners of the world; and it is with his permission that The Shadow adopts his identity.! Thus does The Shadow go forth to battle crime - to vanquish his foe of the underworld and make justice triumph. Trailing his actions is his weird, chilling laugh - the signal for the law to attack, the omen that makes crooks cringe in fear. No matter what the crime, no matter how diabolical the plan, justice will triumph. Crime does not pay! The Shadow knows! In 1930, the publishing firm of Street and Smith sponsored "Detective Story Hour," a radio program designed to both dramatize and promote the stories featured in "Detective Story Magazine," one of their most popular periodicals. The narrator of the show - a character known only as The Shadow - quickly became a popular feature of the broadcasts, prompting a number of letters requesting information about this strange and all-knowing figure. Recognizing an opportunity when they saw one, Street and Smith quickly decided to turn their mysterious narrator into the protagonist of his own magazine series -- but who could write such stories quickly, entertainingly, and (most importantly) on extremely tight deadlines? A magician, of course. A magician who had also been a newspaper reporter as well as a ghostwriter for such famous fellow magicians as Blackstone, Thurston, and the great Houdini himself. A renaissance man - or, at least, someone who knew how to keep himself well employed - Walter B. Gibson had been a professional writer for nearly a decade when Street and Smith's editor-in-chief , Frank Blackwell, asked him to do a story about a character known only as The Shadow. 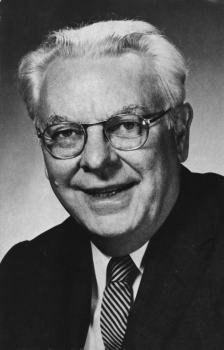 If the story was acceptable, Blackwell said, Gibson would be hired to write more of them on a four-a-year basis. In response to this challenge, Gibson quickly came up with the idea of a man who is rescued from committing suicide by a character known only as The Shadow. In return, the man whose life The Shadow had saved would agree to work for him in his ongoing fight against crime. Though based on a fairly simple premise, Street and Smith accepted Gibson's efforts and the first novel, "The Living Shadow", hit newsstands in April of 1931. The magazine was an instant success, quickly selling out and generating a strong interest in further adventures of this new 'Knight of Darkness'. It wasn't long before Gibson's original agreement for four novels a year was revised to one novel a month...then, in 1932, one every other week. It was undoubtedly a challenge for even a writer as adept and experienced as Walter B. Gibson - particularly since The Shadow's adventures wouldn't even be running under his own nom de plume. 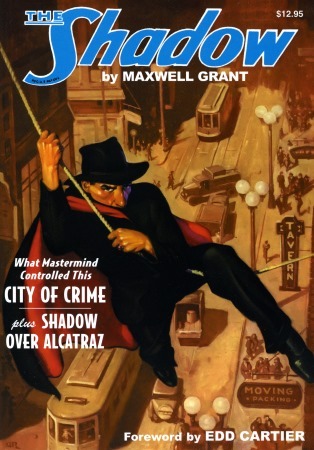 (Street and Smith owned the character outright, so Gibson combined the names of two magic dealers into the pseudonym Maxwell Grant, that non-existent writer who would be the published author of The Shadow novels.) But Gibson was nothing if not prolific and comforted himself that, even with such a daunting task ahead of him, a guaranteed long-term contract would assure him a reasonable and steady income during the depths of the Great Depression. Over the next two decades - from 1931 thru 1949 - Gibson would write 282 of the 334 Shadow novels. 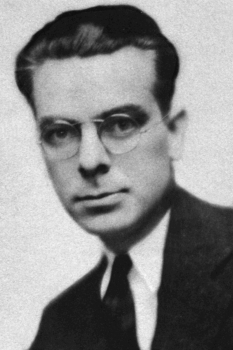 (Writer Theodore Tinsley was, from 1936 to 1943, to write four of the yearly novels, also under the name Maxwell Grant, while Bruce Elliot spend two postwar years writing briefer stories in the later "Mystery Magazine" series.) During this time, The Shadow also made his way to radio (starring, at one time, Orson Welles and Agnes Moorehead in the leading roles), a series of two-reel film shorts featuring Frank Readick (the man who originated The Shadow on radio), a movie serial, comic books, and eventually a big-budget Hollywood 1994 film starring Alec Baldwin. But for true fans of the 'Master of Darkness', it is the pulp novels of Walter B. Gibson that not only originated the character but also offer the most complete and detailed picture of this strange and mysterious man in black. Now, thanks to Nostalgia Ventures, Inc. & Sanctum Productions, The Shadow returns in a series of newly released versions of the classic pulp stories, printed in a soft cover double novel format. 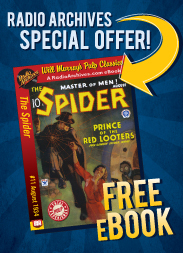 The books feature the original magazine cover paintings by illustrator George Rozen and the stories - reformatted for comfortable reading - feature the classic interior illustrations by Edd Cartier, Tom Lovell, and Paul Orban that so enhanced the stories when they were originally released. Additionally, The Shadow's adventures are accented by historical articles by popular culture historians Will Murray and Anthony Tollin. 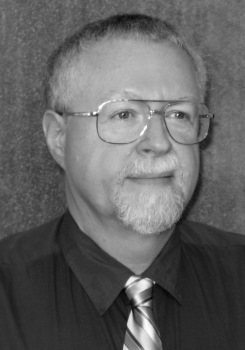 If you're a fan of real pulp fiction, or if you only know him from his radio incarnations, you're sure to enjoy the exciting and thrilling adventures of The Shadow -- and, to help you learn more about The Shadow and his adventures in both the "pulps" and on the air, we've asked well-known Shadow historian John Olsen to share both his observations of the print vs. the radio series as well as his reviews of each of the stories featured in this new series of publications. For those who love the radio version of The Shadow, reading their first Shadow pulp novel can be a jarring experience. The character is not the same. The pulp hero is still a fantastic crime fighter and arch enemy of evil-doers, but there are significant differences in his methods and his companions. Unless apprised in advance, fans of the radio show might be in for an unexpected jolt. One major difference between The Shadow in the pulp magazine stories and The Shadow in the radio dramas is that the pulp character did not have any hypnotic powers of invisibility. On radio, The Shadow had the mystic ability to hypnotically cloud men's minds so that they could not see him. In the pulp stories, The Shadow had no such ability. He was a figure shrouded in a black cloak, black slouch hat and black gloves. Being enveloped all in black, he could fade into the shadows and achieve "virtual" invisibility. But there was no actual invisibility, such as was heard on the radio. Another major difference in the two incarnations of the Shadow is that on the radio, The Shadow was, in reality, Lamont Cranston. In the pulp mysteries, The Shadow was actually Kent Allard, a world famous aviator. In the magazine stories, Lamont Cranston did exist; he was a multi-millionaire world traveler who lived in a large New Jersey mansion. Cranston was often out of the country on his various expeditions, and it was during those periods that The Shadow would often "borrow" his identity. The Shadow, a master of disguise, could flawlessly impersonate Cranston and visit Cranston's home, call on his friends and use Cranston's associations to assist him in his investigations. In the pulps, there was a definite connection between Cranston and The Shadow, but they were not the same person. A third difference in the two versions of The Shadow is that the pulp version had a larger cast of characters. On the radio shows, there were three main characters: Lamont Cranston/The Shadow, Margo Lane, and Commissioner Weston. Taxi-driver Shrevvy was added in 1940 as a fourth recurring character. In the pulp magazine adventures, there was a much larger cast. In addition to The Shadow and Commissioner Weston, there were a multitude of agents who secretly worked for The Shadow. Agents such as Harry Vincent, Clyde Burke, Cliff Marsland, Moe Shrenitz (later nicknamed "Shrevvy"), Hawkeye, Burbank, Rutledge Mann, Claude Fellows, Jericho Druke, Dr. Roy Tam, Dr. Rupert Sayre, Miles Crofton, and Chance LeBrue appeared regularly in the magazine series. Margo Lane was not in the early years of the pulp, but was added in 1941 at the insistence of radio listeners. The Shadow stories of the pulps were richer and more complex than were those of the radio plays. On radio, an entire story had to be told in a half-hour. To do this required a smaller cast and a simpler story line. A forty-five thousand word pulp novel, however, allowed for more characters and a more involved plot. That's why the pulp version of The Shadow survived for eighteen years on the newsstands, thrilling readers with 325 different breathtaking mystery novels. Now that these incredible pulp novels are being reprinted, a new audience of delighted readers can thrill to The Shadow's adventures. They mesh well with the recordings that survive of the radio version of The Shadow; it's not exactly the same character, but it's a fuller, richer character. And, if possible, an even more exciting character. The Shadow knows!